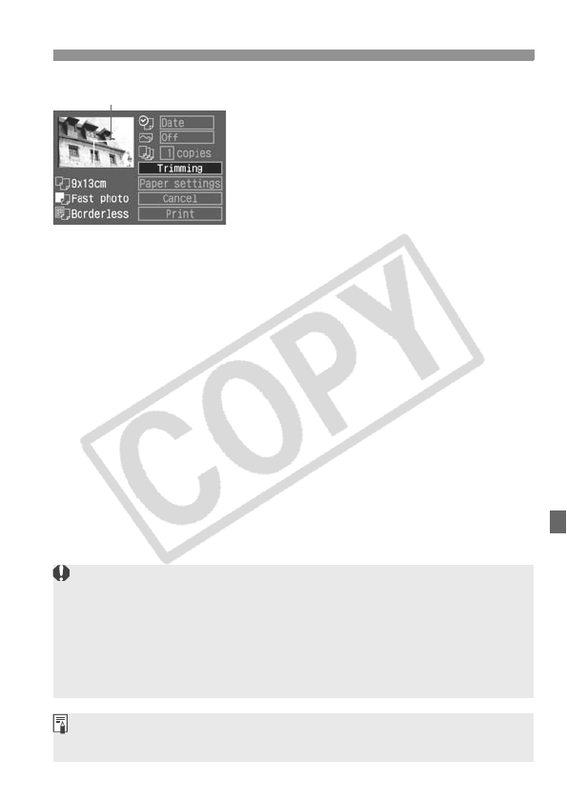 X The Print setting screen will reappear. look. If the picture will be too grainy, the trimming frame will turn red. settings], [Image] / [Paper], [Page layout] / [Borders] settings.